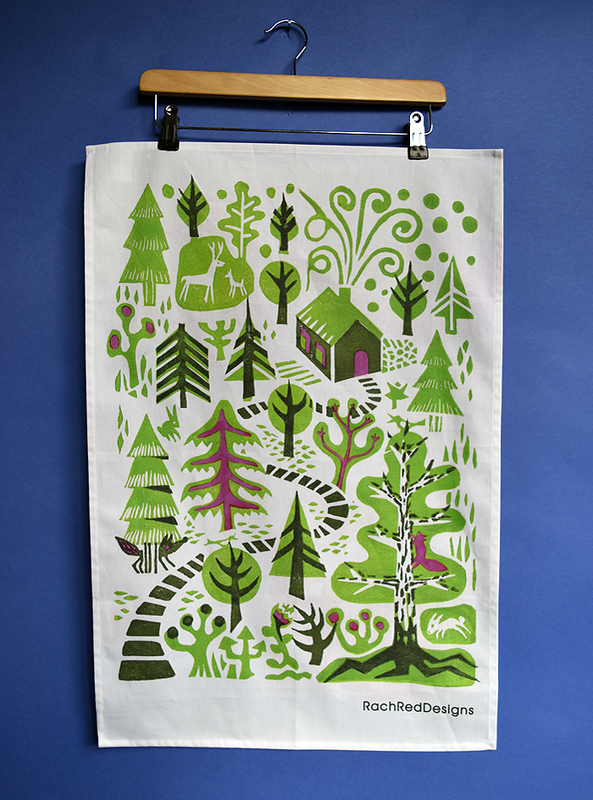 Spot the animals, follow the path to the house and then dry your dishes too! 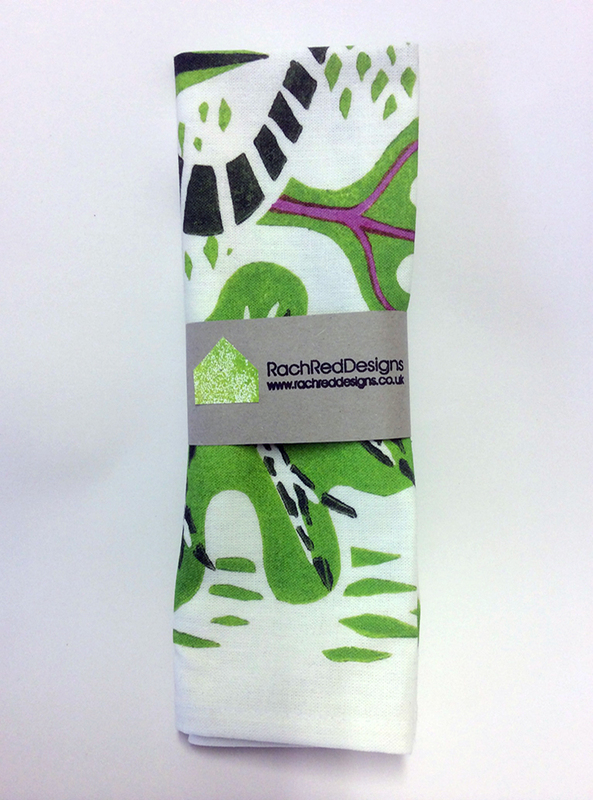 This is the green and pink, springlike version of this design. Folded and wrapped in a hand stamped paper band.